In a recent survey of over 1,200 moms, BSM Media found that 74% of moms expect to assemble at least one Easter basket this year. Moms are turning to social media for Easter basket inspiration: 54% browse Facebook for inspiration and ideas, and 42% choose Instagram. To connect with moms eager to get creative this Easter, BSM Media teamed up with Shopkins to showcase the brand’s products as Easter basket essentials. Using the influence of a popular DIY influencer mom, BSM Media arranged the creation of a fast-form Easter basket making video featuring Shopkins products that moms can watch in under one minute. 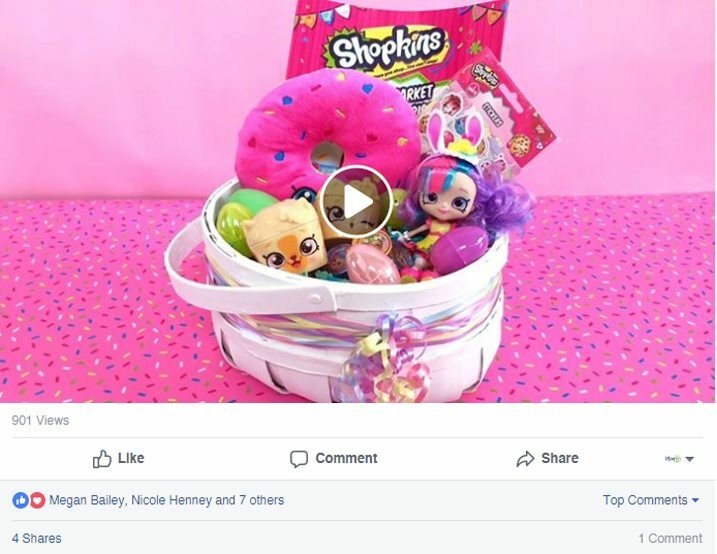 The video generated nearly 1,000 views on Facebook and sparked positive comments from moms regarding Shopkins.